Amazon Lab126 is an inventive research and development company that designs and engineers high-profile devices like the Kindle family of products. Lab126 began in 2004 as a subsidiary of Amazon.com, Inc. Since then, we have worked to produce best-selling e-readers and tablets, as well as new inventions like Fire TV and Echo. What will you help us create? worked on new instruction set architectures, which may include CPU, NPU, GPU and other forms of compute. This engineer will lead the design and implementation of a new compiler. This engineer will work with system architects, hardware engineers and external users both within and external to Amazon to ensure this new compiler can work with existing environments and will ensure existing programming paradigms and semantics can be maintained. · Experience on new instruction set architectures, which may include CPU, NPU, GPU and other forms of compute. 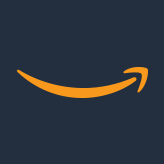 · Meets/exceeds Amazon’s functional/technical depth and complexity for this role Lab126 is part of the Amazon.com, Inc. group of companies and is an Equal Opportunity-Affirmative Action Employer – Minority / Female / Disability / Veteran / Gender Identity / Sexual Orientation.